My husband played the fiddle when he was younger. The musicians were fiddling for all they were worth. "Stop fiddling with your hair," Emma's mother told her. If you fiddle with the focus a bit, you should get a clearer picture. Stop fiddling around and come and help me! Lisa went to prison for fiddling her taxes. The businessmen had been running the fiddle for years before they got caught. The classic American musical Fiddler on the Roof tells the story of a Jewish family in Russia around the year 1900, when many Jews left Europe due to massacres called pograms. In this clip from the beginning of the movie, the main character Tevye sings about the traditions of his community. At the end of the song, he explains, “Without our traditions, our lives would be as shaky [ie, unstable] as a fiddler on the roof.” If you watch until the end, you will see a fiddler on the roof of a building playing the famous score (ie, instrumental film music) of the movie. 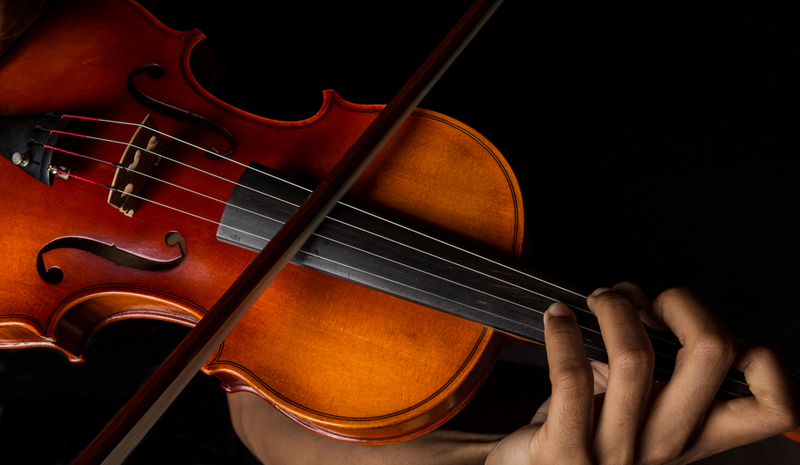 Although fiddle is most often used to mean ‘violin,’ it can actually refer to any similar stringed instrument. These days it is an informal term and would mainly be used to refer to a more rustic or informal style of playing. In some circumstances, it may even be considered pejorative. You wouldn’t refer to someone who plays the violin in an orchestra as “a fiddle player” for instance, unless you meant to be insulting. However, there are also many excellent trained musicians who say they play the fiddle. It really depends on the style of music that is played. Fiddle dates back to before the year 1000, as the Old English fiðele or fithele (meaning ‘musical instrument with strings played with a bow‘), which later became the Middle English fedele, fydyll or fidel. It derives from the Vulgar Latin *vītula (also the origin of the words viola and violin), and is probably related to the Latin verb vītulārī, meaning ‘to rejoice,’ which comes from the name of Vitula, the Roman goddess of joy and victory. It is related to the German Fiedel and the Dutch vedel, both meaning ‘fiddle.’ The verb appeared in the late 14th century, meaning ‘to play a fiddle,’ and the figurative senses are all from the early 16th century.